In the good old days of the internet (eg, 4 years ago), I found the standard shared hosting packages on Hostgator or Bluehost to be more than adequate for client sites and for my OWN website. But in the last two years, shared hosting for CMS systems like Joomla or WordPress has gone from more than adequate to adequate to adequate only at certain times. As a result, I moved my site to WP Engine and I’m very happy with the speed. Both the front and back end runs a LOT faster than any shared hosting I’ve used so far. In fact, it runs as fast as the VPS servers I have worked on. Before migrating to WP Engine, I upgraded my Bluehost shared account to the Bluehost Pro Package to get more speed. The Bluehost Pro package puts you on a server with fewer websites so you get more server resources for your site and ultimately a faster loading site. And my site was definitely faster…except for times when it wasn’t faster. Just like shared hosting, my site would fluctuate from very fast to very slow. I was starting to think the only way I could get acceptable speeds on my site was to buy a Virtual Private Server or a Dedicated Server. But the cost of either of those is very high. Then, several years ago, I went to WordCamp Denver and got a free, lifetime basic WP Engine account. I uploaded my website to WP Engine servers and began testing it there, but I kept my live site on Bluehost. Immediately, I could tell that WP Engine servers were very fast. My pages loaded almost instantly on the front end. What’s more, the WordPress Admin pages also loaded very fast. Since WP Engine servers use a custom caching tool, I expected the front end would load pretty fast. But to see the Admin pages load fast too was very encouraging. But still I was hesitant to change to WP Engine because of their hosting restrictions. WP Engine does not have the standard cPanel used on most standard Linux hosting. In fact, their control panel is very limited: it offers phpMyAdmin, backup restore points, reset FTP password, and that’s about it. No SSH access. No file manager. No ability to upload and unzip ZIP files. No .htaccess. After 10 years of using the very robust cPanel functions, theWP Engine control panel felt like handcuffs. Not only that, but WP Engine also has restrictions on what plugins you can install; they prohibit plugins that are server or database resource hogs. At first, these restrictions were a deal breaker for me. I was not willing to give up cPanel for a faster website. I wanted cPanel AND a fast website. But after more slow service from Bluehost, I finally relented and moved my site to WP Engine, and my site has been very fast…all the time. And their support is great, but email only. You can’t call someone to discuss your problems. FAST – I have not seen any shared hosting that matches the speed of WP Engine. WordPress Specific – Because WP Engine hosts only WordPress sites, their servers are optimized for WordPress. WordPress Support Experts – Because they host only WordPress sites, their support team is much better at diagnosing and fixing problems. Built In Caching – Their caching tool obviously works. And you don’t have to worry about installing and configuring a caching plugin. Backups, Restore Points, and Staging – All WP Engine accounts come with automatic daily backups. They store over a months worth of complete backups. Plus, you can create a backup any time you want. And, with the click of a button, you can restore any of these backups. Also, if you want to create a copy of your site, no problem. Click the Staging button, and WP Engine builds a copy of your current site in a staging area. Once that’s done (about 10 minutes), you can make changes to the staging site without compromising your live site. For example, if you want to test the latest version of WordPress on your site, do it on staging first. If you don’t find any problems, you can move the staging site to your live site with the click of a button. 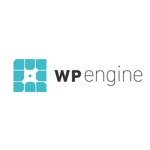 Expensive – WP Engine costs at least twice as much as standard shared hosting. But you get twice the speed. Also, if you go over the page limit of your plan, then you have to pay a bit more. No cPanel – If you’re used to cPanel, you will find WP Engine’s control panel very limited. To get around this, I build my sites on MAMP on my computer and when they are ready to publish, I upload them to WP Engine. After a year of hosting with WP Engine, I have no complaints. My site is ALWAYS available and fast when I check it, which I do on a daily basis. I have heard some complaints about their support and services, but I have not had any problems. Also, I listened to an interview with the owner, and they are aware of the service issues. Basically, it’s growing pains. Because they are so good, they got overloaded with new clients.